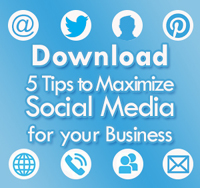 Also be sure to check out our 5 Tips for Maximizing Social Media for your Business eBook! For over 20 years, GMG has ignited buzz for clients, earning the reputation as the best public relations firm for regional, national and international brands of all sizes. Our annual Garden Trends Report is one of the most published garden studies in trade and consumer news. Email info@gardenmediagroup.com if you have any questions!